I'll show my favourite vintage fair today!! 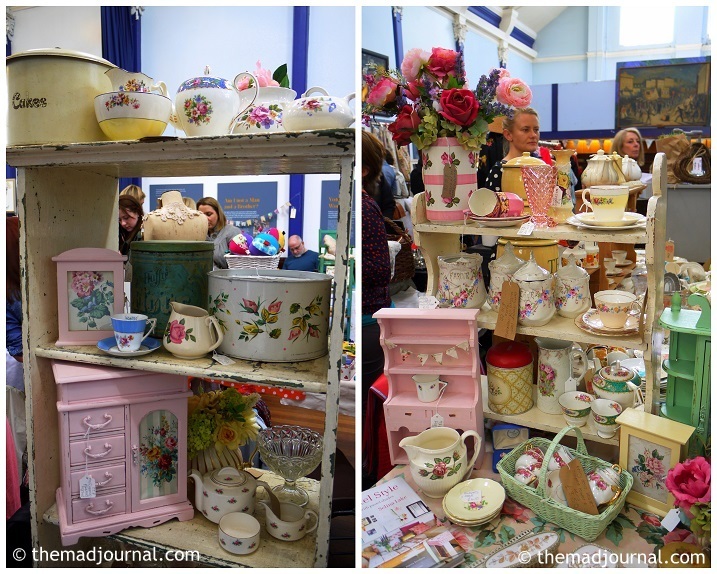 These days, I check vintage markets and fairs outside of London. 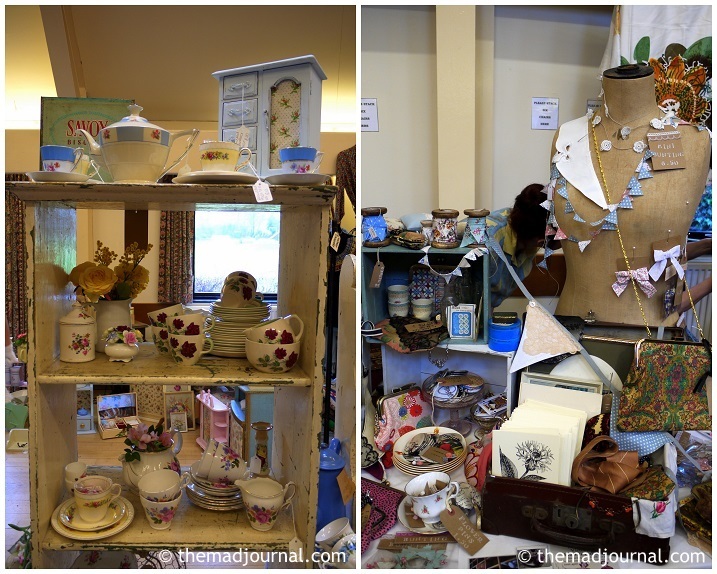 This vintage fair is normally opened in Hassocks near Lewes or Brighton. This photo was taken in Lewes. Last weekend, the market was opened in Lewes. I love the market and the town, Lewes, so I couldn't miss it!! There were handmade stuff which was inspired by vintage and or made with vintage parts. This stall was so cute, as she made some items inspired by "Alice in Wonderland". Cute brooches designed like vintage illustration. I loved this bunting of Alice in Wonderland....!! In the end, I bought a vintage doily bunting. So cute! Cup cake stall is a must in vintage market. 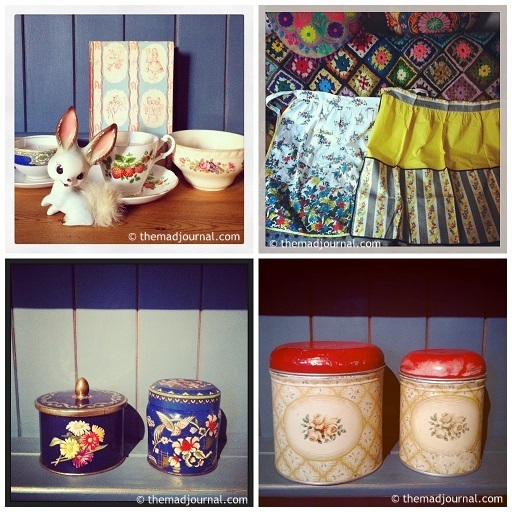 And, these are my vintage finds in the fair! The top left is from the fair in Hassocks in March. I bought lots of stuff!! Others are from the fair in Lewes last weekend. I can't wait the next fair!!! ↓こんな私のセレクトでよかったら、雑貨、買い付けますよ～！Click here for the rankings!